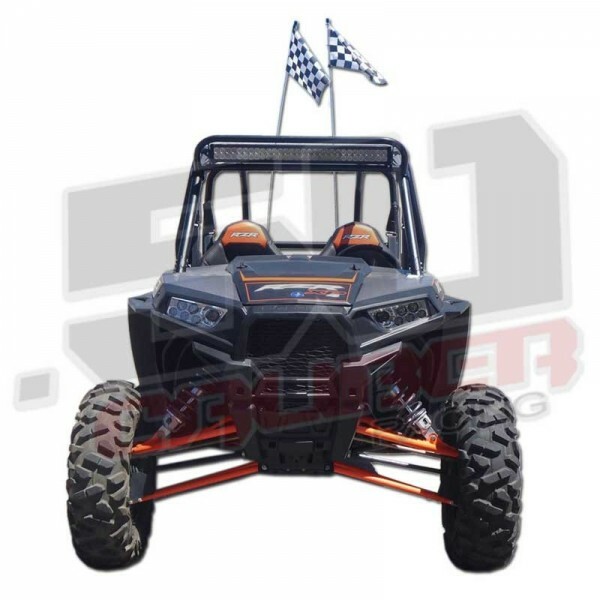 Radius LED light bar mount system and 30" LED light bar COMBO for your Polaris RZR. Includes mount and light bar. 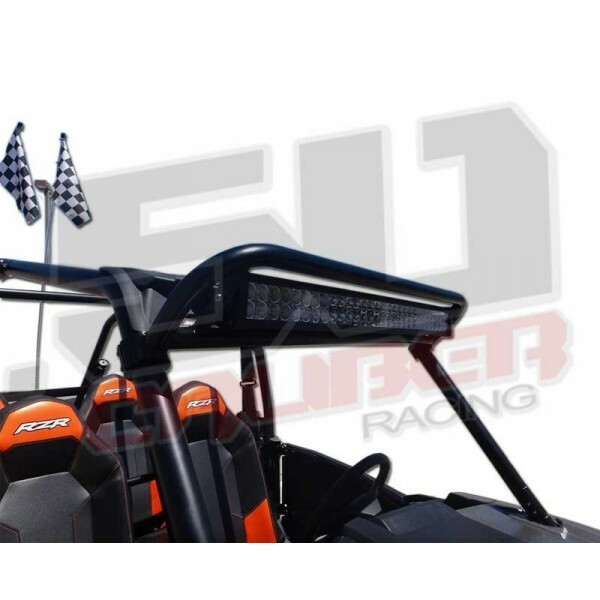 Light bar mount system and 30" LED light bar COMBO for your Polaris RZR. Includes mount and light bar. Mount: USA made from 1.25" mild steel tubing with a black powdercoat finish. Mounting tabs for our radius (curved) 30 inch light bar. 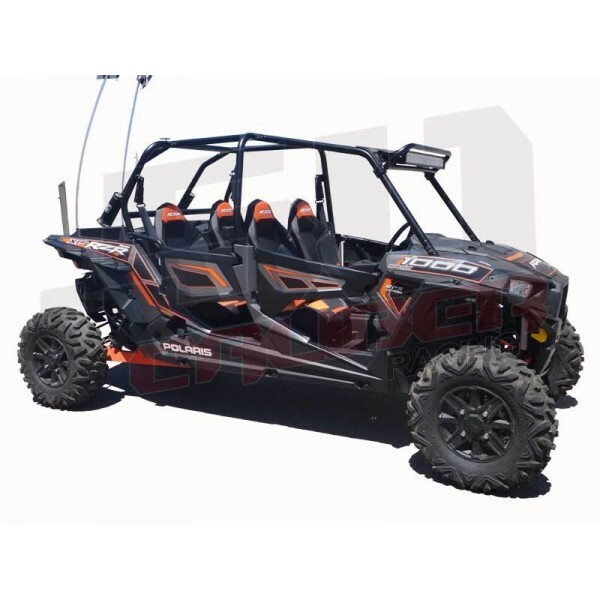 Clamps directly to stock factory roll cage for 2 or 4 seat models. 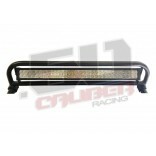 This burly bar provides a mounting point for massive LED lighting, while also protecting your light bar from rocks, branches and rollover damage. 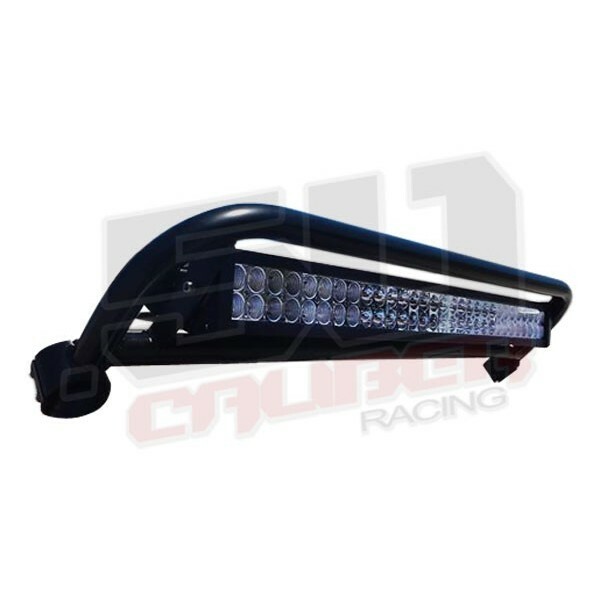 30 inch Radius LED light bar: Countoured to closely match the radius contour of most windshields and front bumpers found on trucks and SUVs. Curved desighn will illuminate everything in and around the forward path of your vehicle. Black painted aluminum housing with integral heatsink and polycarbonate lens.